The federal government is known for mismanagement of IT projects — but now there’s a plan to remove this stigma and set a positive track record. Vox.com reviews the government’s long journey from a top-down, waterfall approach to IT (resulting in debacles like Healthcare.gov) to its current pursuit of an Agile, user-focused approach (resulting in the creation of the U.S. Digital Service and 18F). 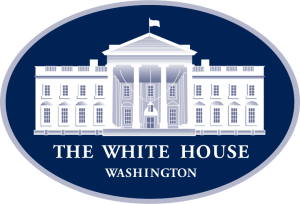 Now, having proven the value of Agile to itself and to citizens, the White House is looking to expand these efforts. Earlier this month, Rep. Steny Hoyer introduced legislation designed to modernize the federal government’s IT infrastructure. The legislation would create a $3.1 billion IT Modernization Fund. Agencies that need to upgrade their infrastructure can apply for funds. Their requests will be vetted by an independent board of technical experts, who will look for projects that improve government services while saving government money. Once projects are complete, agencies will pay back into the fund — hopefully using funds saved by the IT upgrade. If all goes well, that should provide an ongoing pool of funds for other agencies to use in the future. In this way, an initial $3.1 billion investment could enable improvements in IT systems indefinitely. The Vox.com article expands on this topic, examining how Agile development saved the FBI and why Agile is easier said than done when it comes to big government agencies.